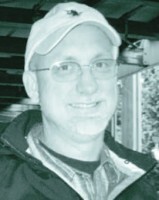 Douglas Patrick Hobbins, 56, passed away on Saturday, Jan. 9. He was born on Sept. 25, 1959 in Cadillac, MI to Mary and William Hobbins. He is survived by his wife, Marie, his children, Sean and Sierra, and his siblings, Steve, Jeanette, Michael, Rose and Chris. See more.